International press deemed them “the most visible cultural Ambassadors of India”, Bharatratna Pandit Ravi Shankar called them the ‘Princes of Mysore’. The gifted duo of Dr. Mysore Nagaraj & Dr. Mysore Manjunath started as child prodigies. Sons and disciples of renowned violinist Prof.
Mahadevappa, they today rank amongst India's best violinists. These maestros have performed at innumerable Music festivals & conferences all over the world. They have been invited for special Lectures by many of the World’s Top universities. Purvadhanashree is a young luminary of the two schools of Indian classical dance - Bharatanatyam and Vilasini Natyam. Her Bharatanatyam is a beautiful amalgamation of two banis - Tanjore and Kalaksetra which she has learned from her mother, Guru Kamalini Dutt and Guru Radhika Shurajit. She is among the few ‘Top’ grade artists of Doordarshan of the younger generation. Recipient of Dr. MGR award from Music Academy, Purvadhanashree was awarded the Ustad Bismillah Khan Yuva Puraskar in 2008. In 2015 Purva was honored with the Jayadev Puraskar. 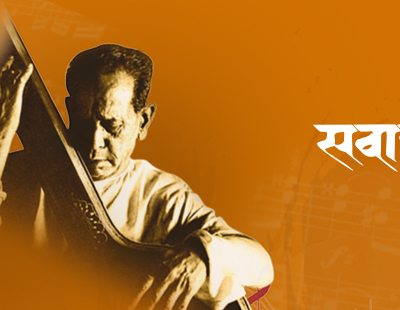 Brajeswar Mukherjee is an emerging voice of Hindustani Classical Music. He started learning music at the age of 4. He later found his mentor in Pandit Ajoy Chakrabarty, who immersed him in the scientific Shrutinandan style. He has vowed listeners all over the world, sometimes while performing solo and at times with legends like late Dr. M Balmuralikrishna. Once a prodigy himself, a Musician Tutor at the ITC Sangeet Research Academy. He also teaches at Shrutinandan. Brajeswar Mukherjee received the prestigious Ustad Bismillah Khan Award in 2016.